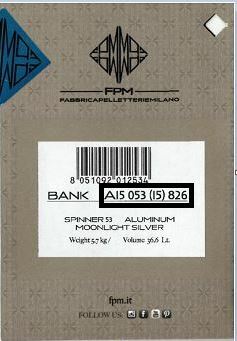 Welcome to the world of FPM - FABBRICA PELLETTERIE MILANO. We are committed to providing high-quality products for our customer, largely thanks to the extensive research that we undertake in the field of technological innovation. FPM - Warranty offers the possibility of extending your guarantee to 5 years on all products, simply by registering your purchase on our website. Throught the registration of the product, we will arrange for repairs of any defects in materials or production, including all structural defects such as handles, hinges and locks. However, any damage caused by usage that is not related to defects in materials or production will not be covered by the warranty. Damage caused by airlines, airport transit or airport services are not covered by the warranty. For damage caused during airport transit, claims should be submitted to the carrier. Other damages that are not covered by the warranty include improper use of the product, any purely aesthetic claims (such as scratches or fabric stains) and accidental or indirect damage such loss of luggage contents or anything not directly due to the damage caused. Please keep your receipt and/or warranty card which has been stamped and dated by the retailer. They will be required to confirm your warranty coverage, and will also demonstrate that the purchase was made with an authorized FPM dealer. Our five years warranty is valid only for products purchased from an authorized FPM dealer. Send an email to the address: info@fpm.it, stating the reasons of the damage, and please provide images of the defective product with a scan of the proof of purchase. FPM will examines the damage and will inform you on how to proceed. If a replacement product should not be available, FPM will commit to provide a product of equal value and function. If the warranty is not valid or is not applicable to the defective product, FPM will send you a cost estimate for any repairs and shipping as quickly as possible.